The Centre for Bone Health presented a free education event titled ‘ Osteoporosis: Updates & Controversies’ on Saturday, November 3 from 9 am to 12 pm. The event took place at St. George Banquet Hall in Waterloo, Ontario. Osteoporosis community education event was held at the Richmond Hill Central Library on Thursday, November 1 and people heard from a team of osteoporosis healthcare providers including: a doctor specializing in osteoporosis care, a pharmacist, a dietician, an occupational therapist and a kinesiologist from Southlake Regional Health Centre. UHN Osteoporosis Program team raised over $6,000 for Atypical Femur Fracture (AFF) research! Informative talk at Toronto Western Hospital on the basics of bone health and osteoporosis (early signs, why the signs are important, bone density). Please watch here (05:00 – 33:00). 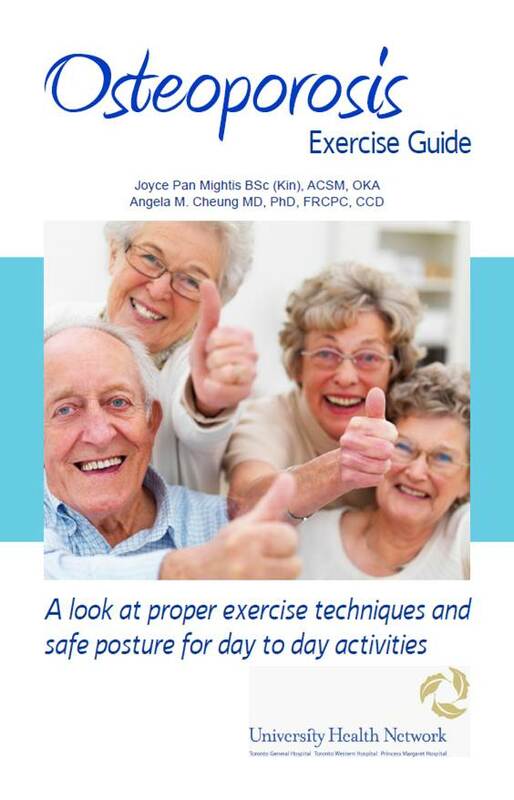 Bone Fit Workshops – for anyone who works with clients with osteoporosis. Find out how you can still help by visiting Osteoporosis Canada.